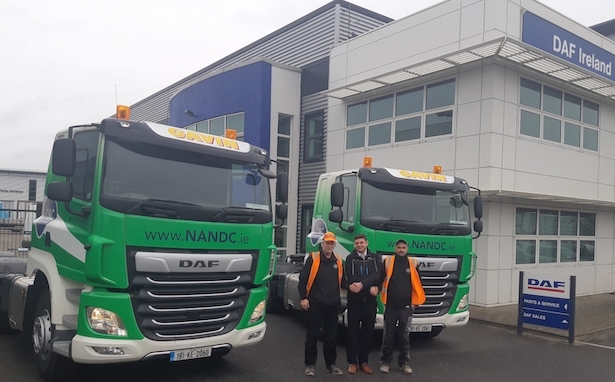 N&C Enterprises has taken delivery of two new DAF CF 430 tractor units, from DAF Distributors Ireland Ltd.
Andre Fourie, N&C Enterprises, John McCann, Sales Manager, DAF Trucks Ireland and Mark Sychta, N&C Enterprises. The two new tractor units come with a sleeper cab and galvanised steel bumpers, translucent external sun visor and robust first cab step. 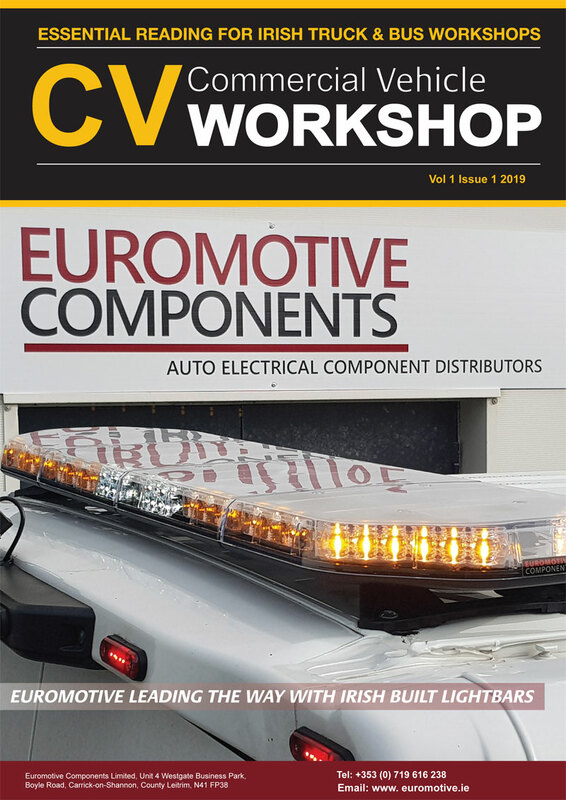 Other features include: bi-reflector halogen head lights, daytime running lights with four LEDs at each side, bumper mounted fog lights, factory fitted hazard beacons, air suspended luxury driver seat, extended ECAS remote control and on/off road tyres. The trucks also come with adaptive cruise control, forward collsion warning, advance emergency braking system, lane departure warning and reverse warning. An hydraulic tank, tipping gear and PTO pump was supplied and fitted by Hi-Power Ireland. A wrap and graphics were supplied and fitted by Gerry Monaghan Signs in Dublin.